Scientists at Kings College London have made key discoveries leading them to suspect that some people have a gene which inclines them towards binge drinking by boosting levels of a “happy” brain chemical which is produced by alcohol, this could lead to alcohol addiction problems in the future. The gene, designated RASGRF-2, is one of those which is already suggested to be linked with alcoholism and drinking problems. The research team at Kings College London found that animals lacking the gene had a much lower desire for alcohol than those possessing it. Brain scans of over 660 teenage boys also showed that those who had a version of the gene displayed a heightened dopamine response in tests designed to make them anticipate a reward. The fourteen year-olds with the variation on the RASGRF-2 gene in question showed more activity in the ventral striatum segment of the brain which is involved in dopamine release. The researchers later contacted the same boys at the age of sixteen to ask about their drinking habits, and learned that the boys with the “culprit” version of the gene drank more frequently. Professor Gunter Schumann, the leader of the research team, explained that while their findings are not proof that the gene causes binge drinking – it still being likely that many environmental and other genetic factors are also involved – the findings nonetheless do help to shed some light on why some people appear more vulnerable to the allure of alcohol than others. 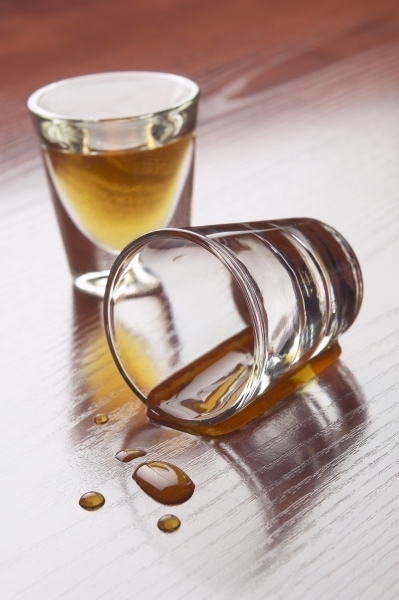 "This appears to be one gene that regulates how rewarding alcohol is for some people. People seek out situations which fulfil their sense of reward and make them happy, so if your brain is wired to find alcohol rewarding, you will seek it out. "We now understand the chain of action: how our genes shape this function in our brains and how that, in turn, leads to human behaviour. We found that the RASGRF-2 gene plays a crucial role in controlling how alcohol stimulates the brain to release dopamine, and hence trigger the feeling of reward. So, if people have a genetic variation of the RASGRF-2 gene, alcohol gives them a stronger sense of reward, making them more likely to be heavy drinkers." Schumann went on to add that more work was needed to prove the theory since the study was only examining young teenage boys and so was not really suitable for assessing a link with long term drinking patterns. He also suggested that in the future it might be possible to offer genetic tests to help predict those who are more at risk of alcohol abuse, and that his team’s findings could even be used to create new drugs which block the “happy effect” some people get from drinking. Binge drinking is a type of drinking whereby large amounts of alcohol is drunk in a short space of time in order to “just get drunk.” It is sadly common in those who have built up a tolerance to alcohol from prolonged heavy drinking but carries many significant health risks. If you know someone who regularly binge drinks or seems to otherwise have a substantial problem with their levels of alcohol consumption. Visit www.timetostop.net to find out more infomation on private alcohol treatment.